Looking to pick up the perfect present for Christmas? Here are some suggestions that you can pick up from the Osprey Games range, and whether there is anything else you need to get playing straight away! 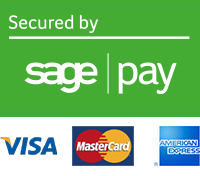 There are plenty of other options available, so be sure to browse our range for the perfect gift! 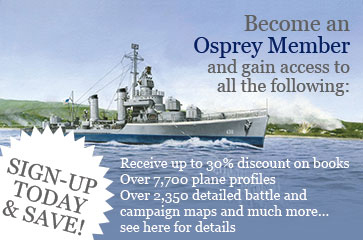 Please note our Christmas Delivery Dates when ordering from the Osprey Games webstore. A deduction game for 3-5 players in which players must uncover information about their opponent’s clues while throwing them off the scent of their own. Each player holds one piece of evidence to help them find the creature, and on their turn they can try to gain more information from their opponents. Be warned – give too much away and your opponents might beat you to the mysterious animal and claim the glory for themselves! Do I need anything else to play? Nope, but you might find these printable deduction sheets handy, as well as these 2-player rules from our Gaming Resources page. 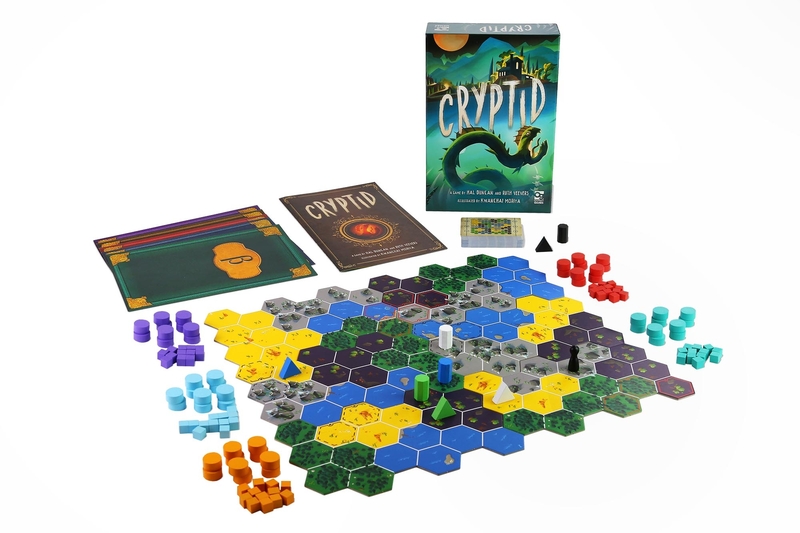 Order your copy of Cryptid today! Nope, but to get you into the game as quickly as possible this rules explanation video from Watch It Played. You could also pick up the first expansion, The Unquiet Dead, if you want to bring the undead to your game. 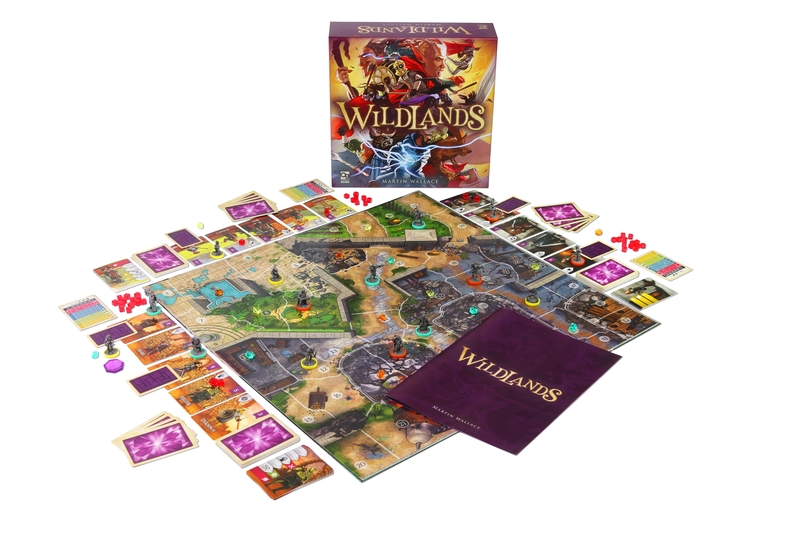 Order a copy of Wildlands today! 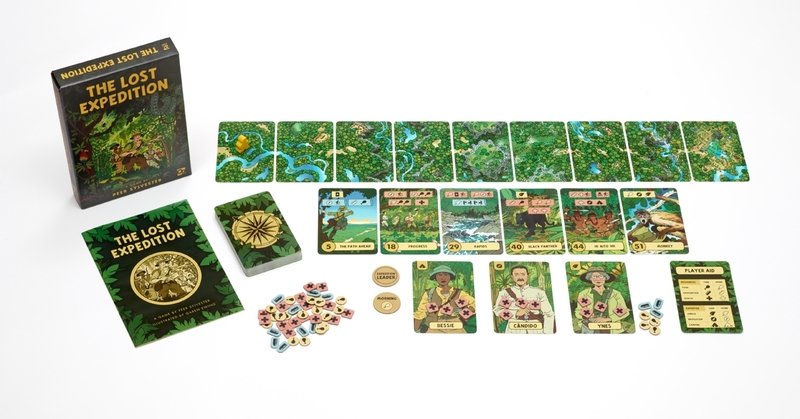 A thematic card game for 1-5 players that pits you against the many dangers of the Amazon rainforest as you search for El Dorado. Make the best of your food, your ammunition, and your health as you plunge deep into the jungle. Choose your path carefully to ensure you’re ready for the pitfalls which may occur. Play solo or cooperatively to survive the expedition, or play head-to-head to see which group can reach the lost city first. Nope, but there is a rules explanation video from Watch It Played available here! You could also pick up the expansion for the game – The Lost Expedition: The Fountain of Youth & Other Adventures. Order a copy of The Lost Expedition here! 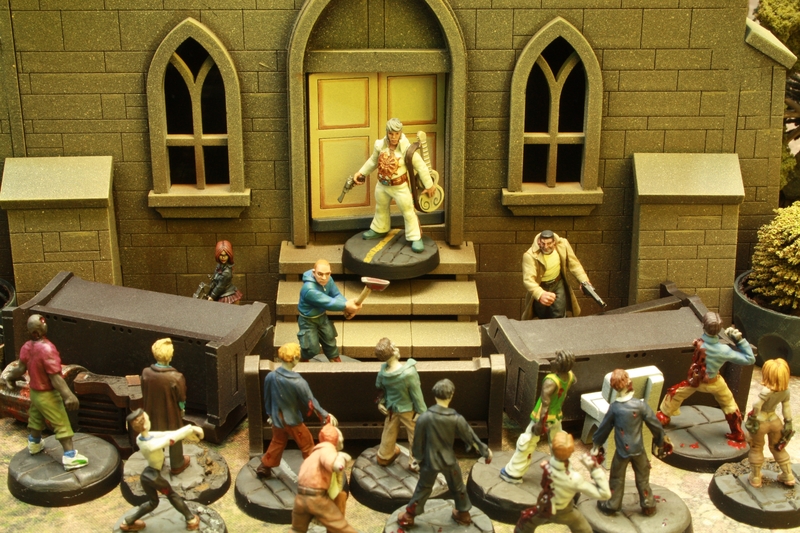 A skirmish-scale miniatures game of survival horror, pitting players against one another in a nightmarish near-future where the dead have returned to life and are feasting on the living. Players build their own factions, representing desperate civilians, military personnel, or hardened survivors, and must explore, scavenge, and fight in order to survive another day. To play Last Days you’ll need some miniatures to represent your post-apocalyptic gang, figures to represent zombies (20 at most), something to use as terrain, and some six-sided dice. You can also download roster and quick reference sheets from our Gaming Resources page. Order you copy of Last Days: Zombie Apocalypse today! 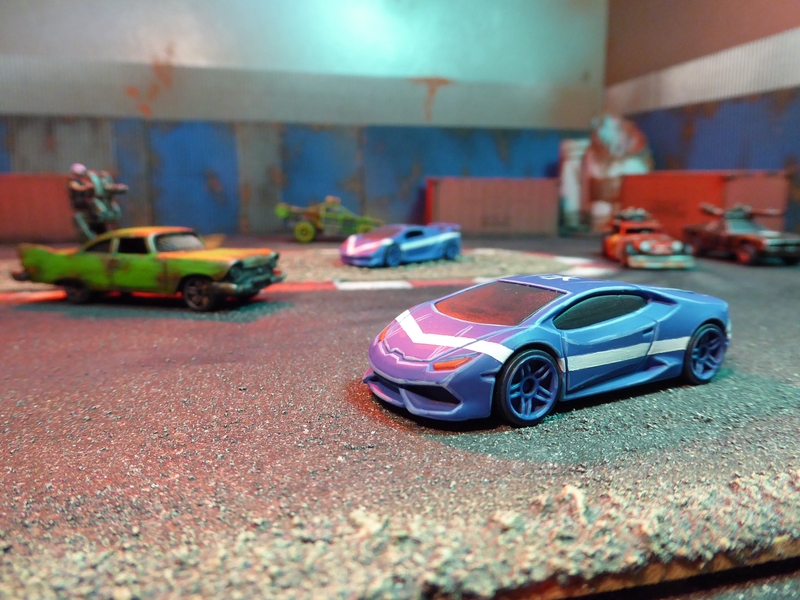 Shoot, ram, skid, and loot your way through the ruins of civilisation with Gaslands, a tabletop wargame of car-on-car destruction in a post-apocalyptic wasteland. Players control small fleets of armed vehicles in battles for resources, dominance and survival. Rules for multiple vehicle types, weapons, accessories, and a host of options for scenarios, crew and campaigns allow players to tailor games to match their own visions of an anarchic future. To play Gaslands you’ll want to pick up some die-cast cars (readily available online or at most supermarkets and toyshops) and some six-sided dice. You will also want to download the templates from our Gaming Resources page. Once you get going with the game, be sure to take a look at the free supplements for more options for your next Death Race! Order your copy of Gaslands today! Burrows & Badgers is a tabletop skirmish game set in the ancient realm of Northymbra, a kingdom where mice, badgers, toads and other animals wear armour, wield swords, and cast magic spells. Your tabletop becomes part of the Kingdom of Northymbra, whose ruined villages, haunted forests, and misty marshes play host to brutal ambushes and desperate skirmishes. Lead your warband from battle to battle, and uphold the name of your faction, whether you stand with Reinert's Royalists, the Freebeasts of the Fox Families, or simply for your own glory or survival. To play Burrows & Badgers you are best of picking up some of the official miniatures from Oathsworn Miniatures, as the size of the different animals is reflected in the rules. You will also need some terrain (books can be used as a substitute in a pinch! ), some dice (4 sided, 6 sided, 8 sided, 10 sided, 12 sided and 20 sided), and a tape measure. You can download the roster sheet from our Gaming Resources page. Order your copy of Burrows & Badgers today!